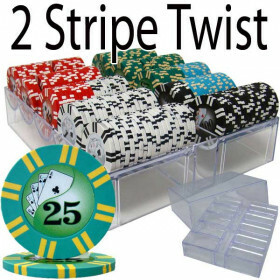 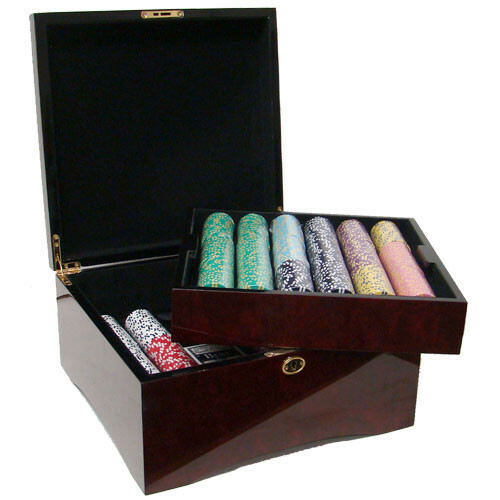 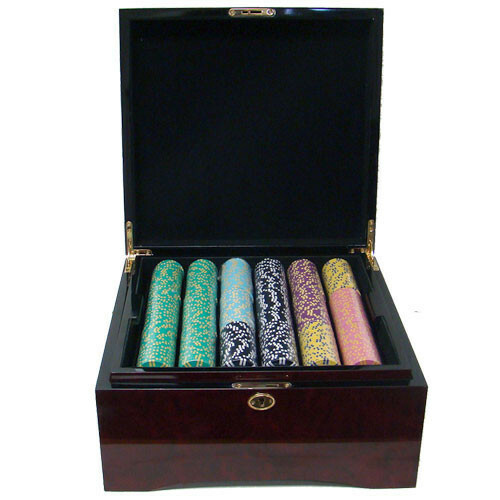 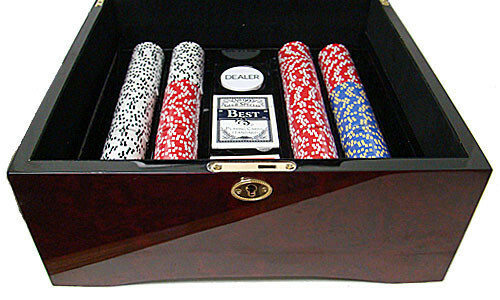 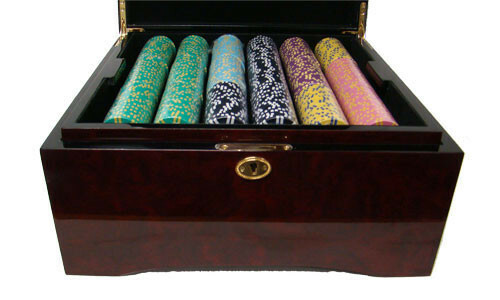 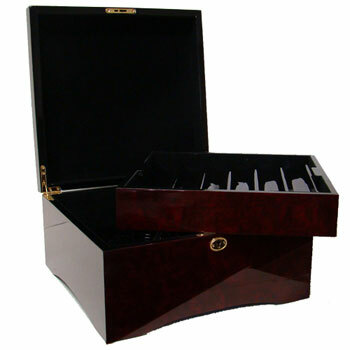 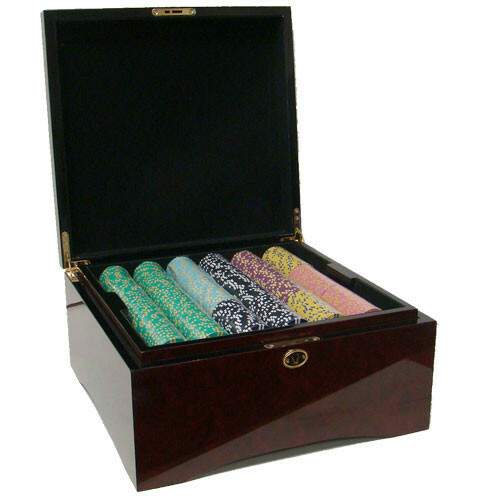 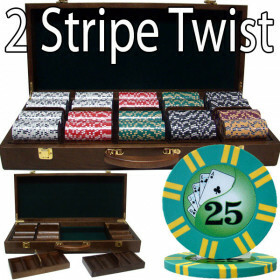 This incredible 750pc 2 Stripe Twist poker chip set features a beautiful Mahogany storage cabinet with removable trays. 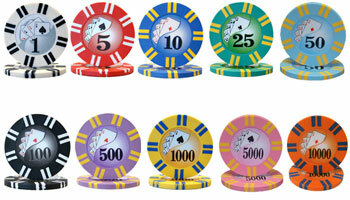 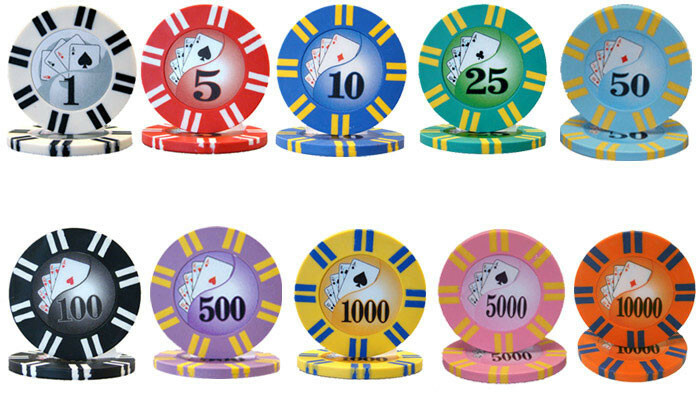 These 8 gram composite poker chips are very popular and make the set easier to move around than heavier sets. 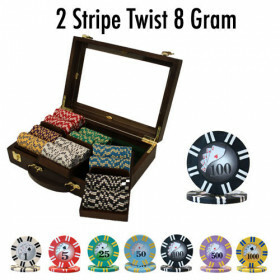 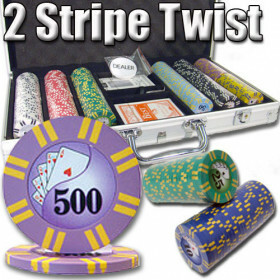 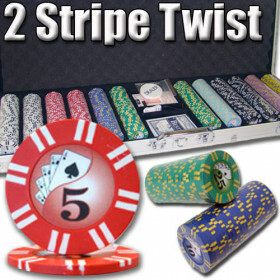 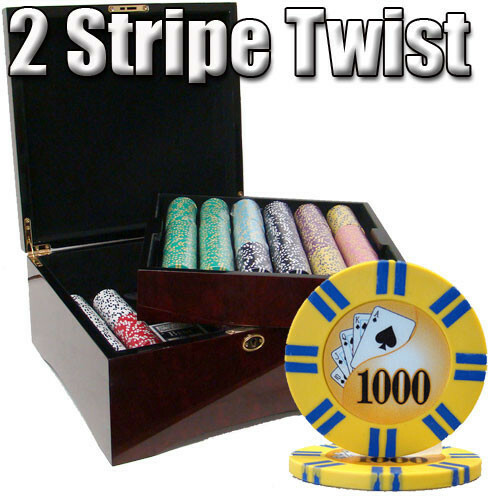 750 2 Stripe Twist poker chips, 2 decks of playing cards and a free dealer button. 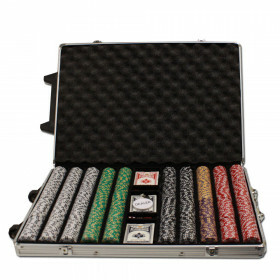 The case includes a removable chip tray that holds up to 450 chips. 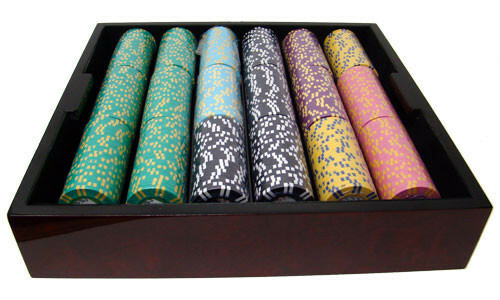 Underneath the removable tray is storage for the remaining 300 chips, as well as space for cards, dice, buttons or other accessories.